Xmas Decos – A super easy wreath to make! Put a bird on it (Portlandia fans will get this!) – our Xmas wreath ready to hand on the door! 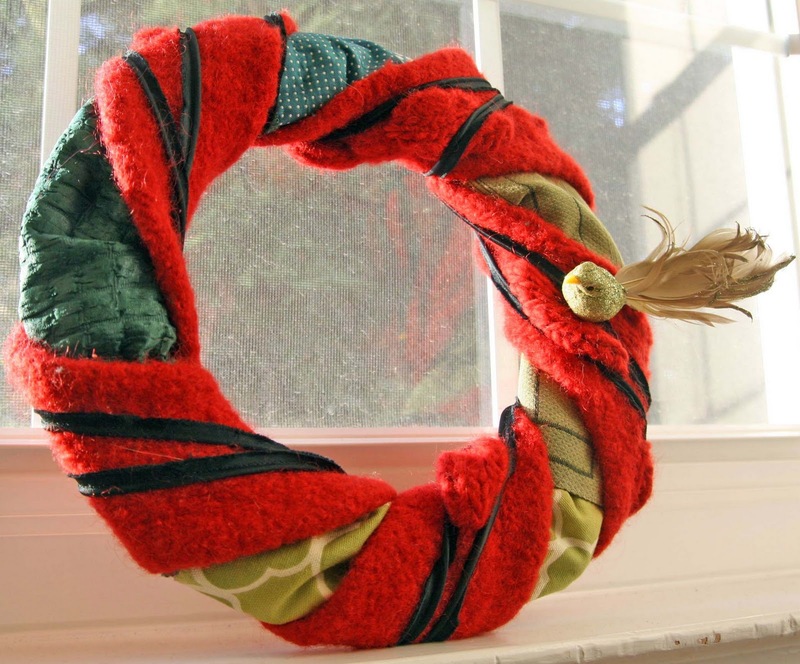 I found an old felted scarf in a lovely Christmas red so I thought hey that can be made into a wreath. You could probably use a felted old sweater sleeve or something. The main item I needed to complete my project was the florist wreath frame (which I picked up from Joann). The other option was the styrofoam – but I did not want to pay for that! The wreath frame is great and is only a couple of bucks and can be customised for whatever season and therefore recyclable – yay! Here is a list of what I used to complete this super easy project! From there it is super easy – wrap and pin the fabric and then wrap the scarf over the joins in the fabric evenly spaced apart and then pin the ends together. On top of all this wrap the ribbon around and tie at the back for hanging. Then put a bird on it and you have a customised wreath to hang on the door. (Mine hasn’t made it yet as I have to locate a hook – which means a mission to the hardware store, still I like it on the window sill).